Want to enjoy the sunshine and sea breeze in Hong Kong this summer? You may not need to go to the beach. How about going to the SummerFest Hong Kong on the Central Harbourfront? The SummerFest, which serves as a summer pop-up park, covers an area of 200,000 square feet with lawn, gazebo, stage and more. It brings us brand new outdoor experience, from world-class sculpture exhibition, to a series of arts, cultural and creative, entertainment, family and sports events. All of the activities are free and are open to the public. Refreshments will be served. Just come and enjoy the Victoria Harbour waterfront in your own (but legit) way. 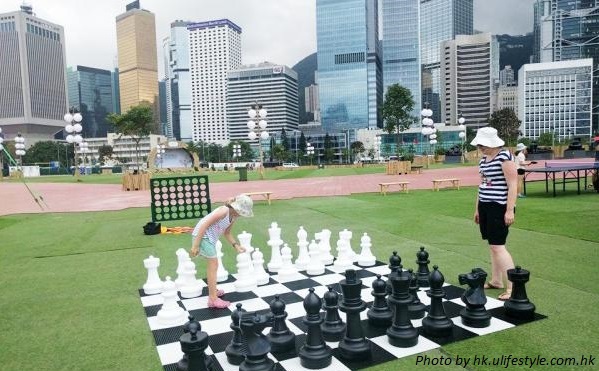 For your information, the Central Harbourfront Event Space had held a wide variety of outdoor events, for example the AIA Carnival, Art Central and Lai Yuen Super Summer 2015. The outdoor exhibition feature 9 monumental sculptures by the world-famous Colombian artist Master Fernando Botero. The sculptures are 2 meters tall on average and they are opened for visitors to. Pre-book guided tours are held every Wednesday and Saturday afternoon. One Piece Summer Carnival was first held in Hong Kong. There you can find the giant characters of this famous Japanese manga, water slide, themed water gun war, photo booths, souvenir shops, and One Piece’s refreshments. The 9-day Running Expo contains 20 booths featuring sports education, sports gear and gadgets, beauty products, food and beverages and more. You can enjoy the highest and most inclined water slide in Asia, as well as music and cuisine, etc. Are you planning to go to the SummerFest Hong Kong this year? Please feel free to leave us comments or contact us if you have any questions. Thank you for reading this post. Please like us on Facebook and share our post!